The arrival of a new year is an excellent time for a fresh start: the perfect chance to turn over a new leaf, change up things that aren't working, and improve the overall functionality of your firm. You may have already made resolutions in your personal life, but have you made them for your firm? Try some of these ideas to get your year off on the right foot. Set out key goals for the year: Help each employee set personal goals that align with the firm's plans for the year. Create an in-office commitment to fitness: get out walking at lunch together or practice healthy eating by putting out healthy foods for company events. Plan a volunteer event together: choose a local organisation, then go as a company to see how you can help. It's a great team-building exercise, too! Put together a company event for everyone to get excited about. Plan a party or game day. Do something together that will help keep everyone more motivated. Write out your goals and plans for the coming year: Make sure those goals are realistic and attainable. Use goals that are clear and measurable so that you'll know whether you're making progress toward them. Post these goals in a place where everyone can see them: Discuss them with every member of the staff. Not only will this help hold you accountable, it will ensure that everyone is on the same page and working together to meet those goals. Evaluate your progress toward those goals each month: You may find it helpful to break down your goals into smaller pieces so that you're able to move toward them each month. As a leader in your firm, you want to be sure that you're taking all the steps necessary to clearly lead your staff. Are you an effective leader? Some of these strategies might help you lead better in your everyday work. Improve communication throughout the office: Make sure you're using software to enhance communication and make it easier for every employee to access the documents they need. Check in regularly with all of your employees: Don't just offer performance reviews at the end of each year they spend with your firm; instead, take the time to evaluate your employees at the end of every project or case and offer clear feedback about their progress and your expectations. Get to know your employees: Find out what motivates them toward success. Lead by example: If you expect a certain level of performance from your employees, make sure you're the one showing them what it looks like. It will make a difference! 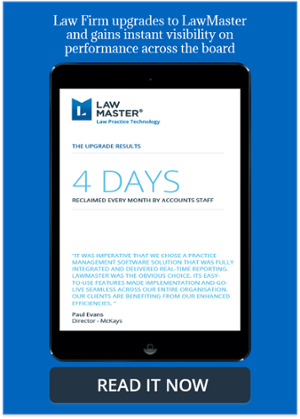 If you're hoping to improve efficiency in 2019, turn yourself into a better leader, and increase your odds of meeting your goals, let LawMaster help! LawMasters's integrated practice management technology offers an intelligent platform that provides one source of the truth. 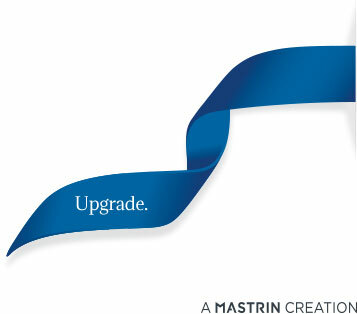 Talk to us about how LawMaster can upgrade the performance of you Law Pracitce.